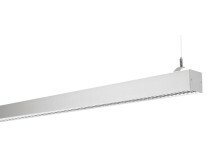 Modern offices require lighting solutions able to adapt to changes. With the e-Sense Organic G3 control system from Fagerhult, it is easy to meet user needs – and save energy. 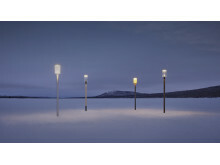 Fagerhult has now taken the initiative towards simpler and more aesthetic environment lighting. Rondo G3 is a fully-equipped luminaire series that makes it simple to plan and install sophisticated lighting designs outdoors. 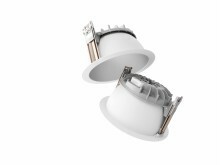 Fagerhult is now launching the fourth generation of its Pleiad downlight series – an uncompromising classic in a new design. With 50% greater energy efficiency and 100% faster installation, Pleiad G4 is a future-proof investment into the building’s lighting ergonomics and appeal. Opening in February, Fagerhult’s spectacular new showroom offers the complete lighting experience. – Focusing on retail lighting and commercial environments, we want to show the diversity and possibilities Fagerhult can offer, says Sofie Dahlberg, Business Unit Director Retail at Fagerhult. 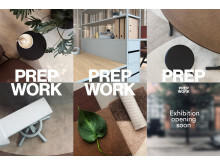 With the ambition to show the latest and upcoming ideas for the workplace, Fagerhult has developed a new exhibition – Prep Work - together with the design studio Note. 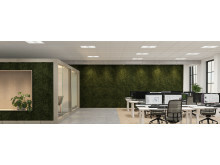 Prep Work explores the design, spatial and sensorial factors that synergise within the workplace of the future to improve morale, creativity, wellbeing and productivity. The design of outdoor lighting has always been determined by the shape of the light source. Not anymore. In co-operation with groundbreaking lighting design firm ÅF Lighting, glass designer Lena Bergström and Orrefors, Fagerhult is reclaiming the natural light with the Devina park luminaire. 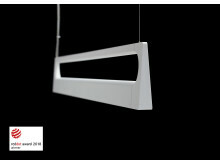 A show stopper at its pre-launch during the Light and Building Fair and now a Red Dot Product Design winner. 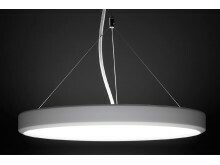 Skywalker is the latest collaboration between Fagerhult and leading Innovations Consultants Above, a pendant with a unique form and exceptional light quality, developed to enhance the user experience in the contemporary workplace. With three lengths as standard, customised measurements on request and quick connectors for speedy installation, Notor 65 is the easiest way to create long, unbroken lines of light. 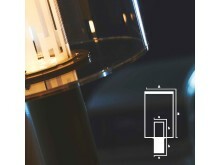 Scale is the latest evolution of the Pozzo lighting concept. The form of Devina is based on the most timeless of design concepts, applying the principles of the Golden Ratio to create the perfect cylinder. Each Devina has a distinct visual language which speaks through the carefully curated composition of materials. Designs with a nordic spirit that can easily be translated into different habitats around the globe. The trend of combining exercise and work thrives. At the new-build Padel Arena in Jönköping, Sweden, you can combine the best of two worlds - in the best light. "How does this type of light make you feel?" To define, describe and compare different kind of sounds is quite easy, as we share a common understanding and vocabulary. But how about light? Reasearchers at DTU and Aalborg University, both Denmark, are currently working on developing a new software for evaluating user experiences of lighting. Read the full article in latest issue of the Innovator. ps. You know you can subscribe to our newsletter? :) ds. For full reference - visit our web. 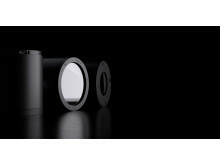 Fagerhult develops, produces and markets professional lighting solutions for public environments such as offices, schools, retail areas, industries and hospitals, indoor and outdoor. Our lighting knowledge, in combination with a wide range of innovative, energy efficient, environmental friendly lighting solutions, makes us a natural partner for the entire project. Fagerhult is a part of the Fagerhult Group, one of Europe’s leading lighting groups, with about 2,600 employees and operations in over 20 countries around the world.